c) learned it was supposed to be warm and sunny in Washington, D.C.
…I knew I had to be there. My girlfriend Jona was also free, so we went together–not exactly the most romantic getaway, but hey, we did end up spending a lot of quality time together in the car. The 231-mile drive from New York City was relatively painless, and the stadium was easy to find, but the parking situation was a nightmare. Yes, there were parking lots all over the place, including several that were tucked into the stadium itself, but they all required permits. It literally took 45 minutes to find the ONE garage that would take us, by which time it was too late for me to wander and take pics. Very disappointing. It’s one of my rituals whenever I’m at a stadium for the first time, but it wasn’t meant to be at Nationals Park. Jona and I pretty much had to buy our tickets and get right on line at the center field gate, but at least we were able to buy tickets in the first place. That’s the reason I wasn’t planning to go to D.C. until later in the season. I assumed every game through the All-Star Break would be sold out, and I was waiting for the crowds to shrink. This game, however–only the fourth regular-season contest in the brief history of the stadium–was so sparsely attended that I was able to buy two seats in the third row behind the visiting team’s dugout. This was huge. 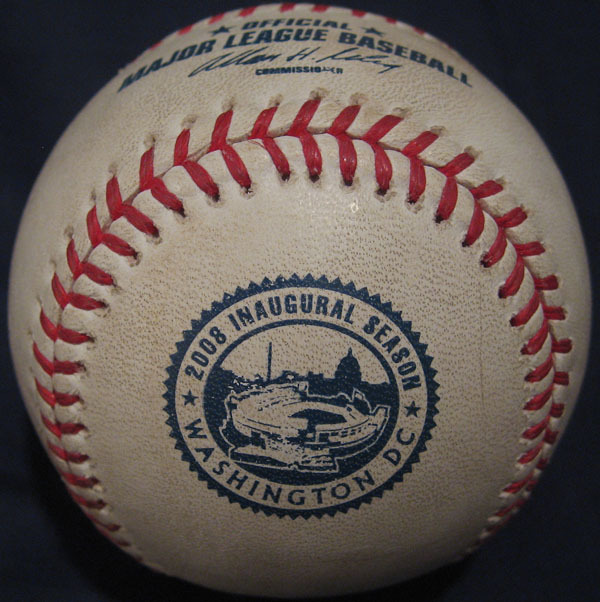 I didn’t know how strict security would be, and I absolutely needed access to that section; the Nationals were using commemorative balls during games, and I had to snag at least one. That was my goal for the day, and when I walked away from the ticket window, I knew I had a great chance. Twenty minutes before the gates opened, two guys walked over and introduced themselves, and you can see us in the pic on the right. 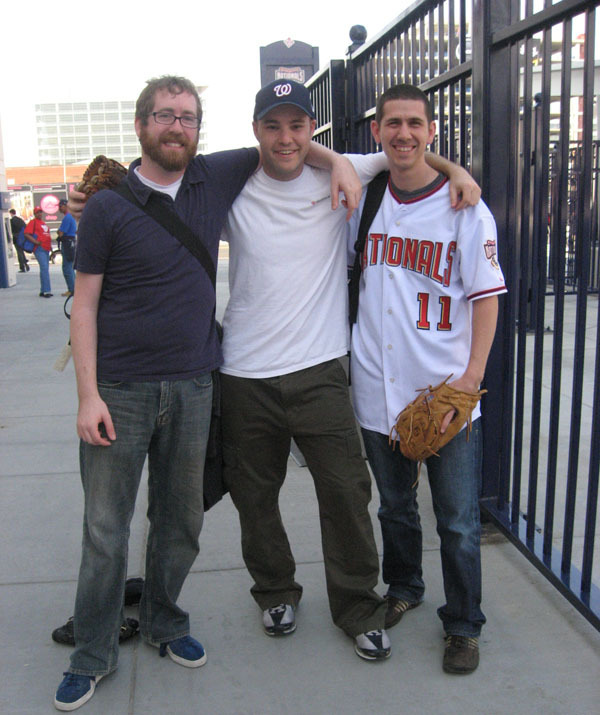 Doug (beard and glasses) was friends with Alex (Nationals jersey), a fellow baseball collector who’d recently been leaving a bunch of comments on my blog. He had told me to let him him know when I was coming down for a game. I emailed him that morning. He wrote back and told me what he’d be wearing, and voila, here we were. At first I was a bit concerned about competing with him. And then Doug pulled out a glove. Great. 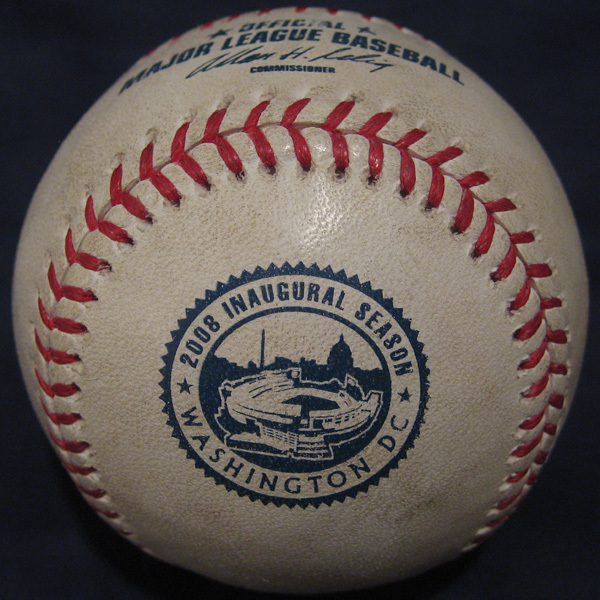 Would they be going for commemorative balls at the dugout as well? Did either of them have a glove trick? What about a Marlins cap? No, no, and no. I was relieved, of course, but then I felt guilty about invading their otherwise mellow snagging sanctuary. Alex didn’t mind. He wasn’t gung-ho about snagging every possible ball, and anyway, he wanted to see me in action. Doug, meanwhile, was even more laid-back about snagging. He was just hoping to get a ball or two, and if it didn’t happen, it wasn’t a big deal. The gates opened five minutes late, and I was okay with that. It was still only 4:45pm–nearly two and a half hours until game time. I ran in ahead of Alex and Doug, and Jona followed me with her camera. I was so excited to be inside my 43rd major league stadium that I completely spaced out and forgot to look everywhere for potential easter eggs. 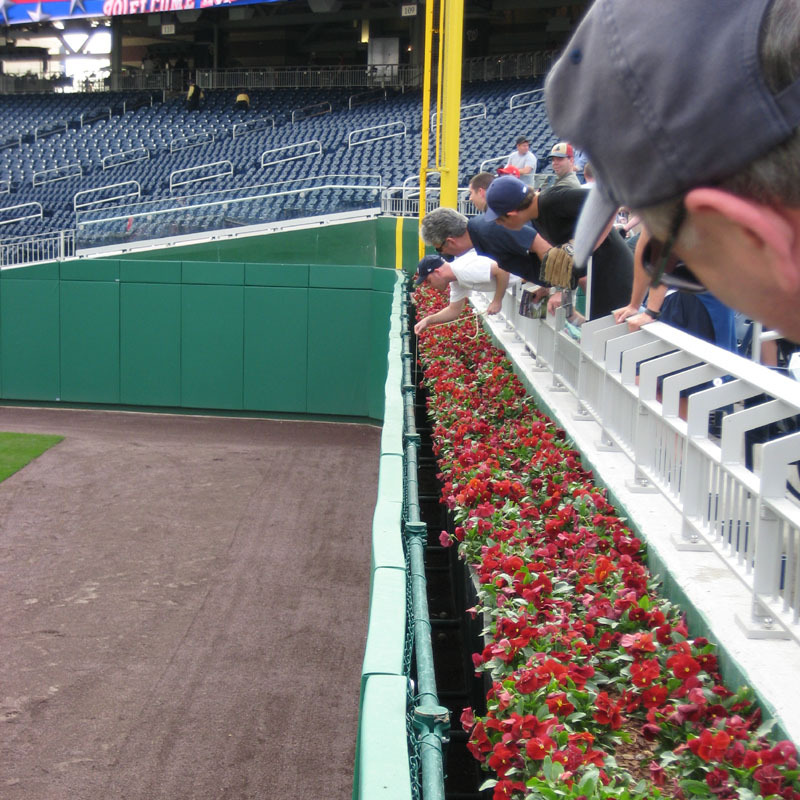 Instead, I ran directly to the corner spot next to the left field bullpen, and sure enough, Alex ended up finding a ball in the flower bed between the wall and the first row of seats. Duh. Of course, the ball was one of those cheap, made-in-China training balls. The Nationals have been using them for a few years. You don’t even have to look too closely at this one to see that it’s lopsided. 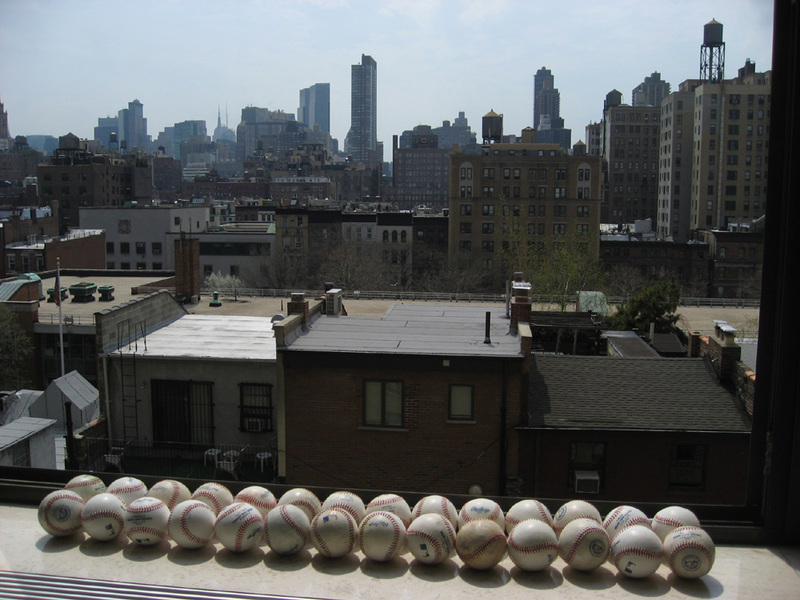 If I were going out to Central Park to play ball with a few friends, *I* wouldn’t even use these balls. I truly don’t understand how major leaguers put up with them. These balls don’t even feel the same as regular balls. The surface is slick like plasticky leather. Real balls are a bit grainier and feel softer and more genuine. I really wonder if there’s a correlation between the quality of the BP balls and the success of the team that uses them. Two days earlier, the Tigers were using minor league balls during BP at Fenway Park, and whaddaya know, they started the season 0-7. The Nationals, meanwhile, were stuck in the middle of a losing streak that ended up lasting nine games. Attention general managers (and equipment managers): if you want your players to play like All-Stars, consider circulating a few All-Star balls into the practice bins. If you want your team to play well enough to reach the World Series, let the players see and feel and throw and hit a few World Series balls. Give ’em a taste of what lies ahead. It would certainly make us baseball collectors happier as well. Even though the left field seats were still mostly empty, I could sense that that whole area was temporarily dead so I ran over to the “Red Porch” seats in left-center. Beautiful. All the seats had extra thick cushions, and there was a decent amount of space to run around. 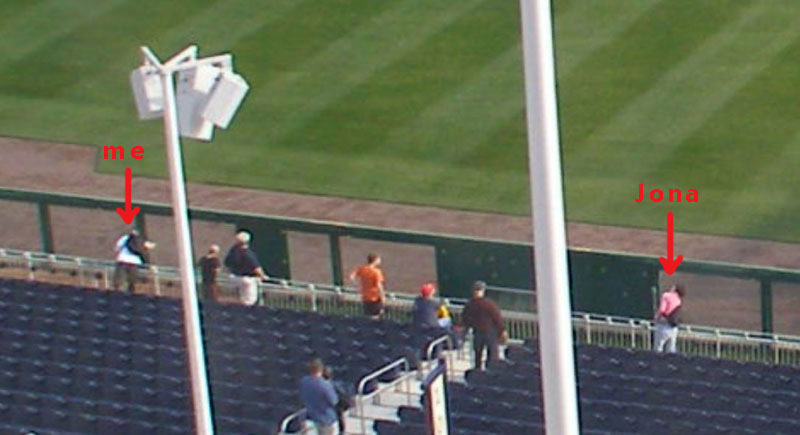 But best of all, there was a glorious gap between the outfield wall and the first row of seats. It’s like it was custom-made for my glove trick. I only stayed out there for a couple minutes, during which time nothing landed in the gap, but I did get two more training balls tossed to me. 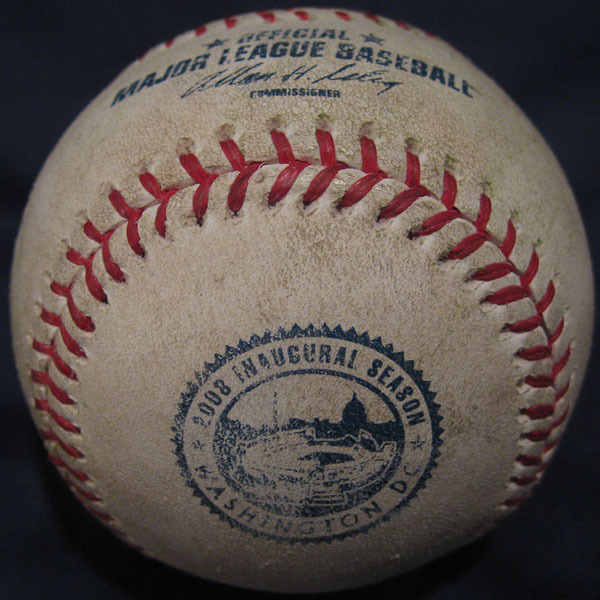 The first came from Nationals first base coach Jerry Morales, and as for the second, I asked pitcher Ray King for it when he walked over to pick it up off the warning track in straight-away center field. “Didn’t you just get one?” he demanded. I wasn’t satisfied. The logo was worn. I needed another, and the snagging continued. Yup, another training ball. Six of my first seven were training balls. I didn’t like them, but they counted. As I mentioned in my Fenway entry after snagging four minor league balls…if they’re good enough for major league players to use, they’re good enough for my collection. Now get THIS…when I ran over to check in with Jona at the corner spot for a moment, I happened to notice that there was a teeny gap between the flower bed and the outfield wall…and that there was a ball that had dropped into the wider space below. I ran back to the front row and leaned way out over the railing in the approximate spot where I thought the ball would be. I was five feet off and moved to my left. The gap was so thin that my glove wasn’t able to fit. This forced me to disassemble my contraption, lean out even farther, reach down past the flowers and into the gap itself, and THEN place the Sharpie inside the pocket. It wasn’t easy, and the metal railing was digging into my thighs, and I was afraid that stadium security would finally shut down my operation–but no one said a word. Alex was right next to me, cheering me on, and a few other fans were curious to see what I was up to. Getting the ball to stick inside the glove wasn’t any harder than usual. The challenge was getting it out. I had to reach even farther than before because the ball was in the tip of my glove, and I had to pull it out before removing the marker. It hurt. But I did it. And by the time the Marlins took the field for BP, I already had eight balls. I wasn’t sure how many I’d end up with, but I knew it was going to be a pretty good day. The idea of breaking double digits at my first game at a new stadium was pretty cool, and within a couple minutes, I was there. Marlins pitcher Taylor Tankersley tossed me his ball (a genuine major league ball) when he finished throwing, and Burke Badenhop flipped me another that had rolled onto the warning track two sections to the left. 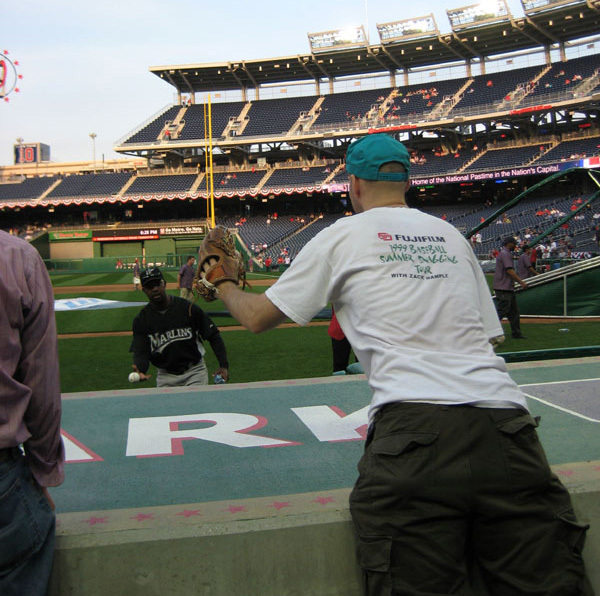 Soon after that, I caught a home run on a fly (major league balls travel much farther than training balls), and before I had a chance to blink, I was racing to my left through an empty row and lunging for another home run ball. I was a split-second too late. The ball hit the end of my glove and bounced into the row below me. In New York, that would’ve been the last time I ever saw the ball. Other fans would’ve mugged me for it, but in our nation’s capital, the few other people nearby had no idea what was happening, and within a few seconds, I was clutching my 12th ball of the day. Ball No. 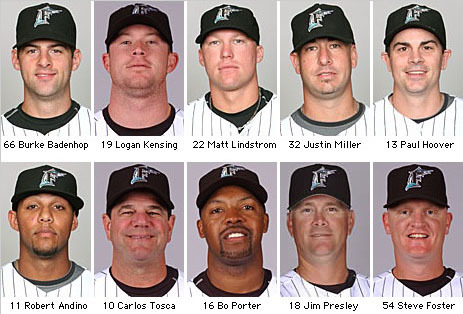 13 was thrown by Marlins bullpen coordinator Pierre Arsenault (it helped that I was wearing a bright aqua-colored Marlins cap and had a cheat-sheet with faces and uniform numbers of the guys who were harder to recognize), and ball No. 14 was another homer that I caught on a fly. Nice running catch. I ranged one and a half sections to my left and made a thigh-high, one-handed grab with other fans reaching up in front of my face. In New York, that ball would’ve been deflected before it reached my glove, and in the Bay Area, it would’ve been caught by someone in the row below. There were a few other fans with gloves, but they didn’t know where to stand or how to judge fly balls. It was ball-snagging heaven, and I was seriously considering what it would take to break my one-day record of 21 balls. I’m not talking about simple arithmetic. I know how to add. I was considering all the remaining opportunities and limitations and the likelihood of actually making it happen. At the very least, I figured I had a chance to break a more random personal record: most balls at my first game at a new stadium. I had snagged 17 balls at my first and only game at Miller Park back in 2003, and I thought it’d be cool to surpass that total. At this point, I knew I’d get at least one more ball. But five more? One after BP at the Marlins’ dugout? One during pre-game throwing? A third-out ball from each dugout during the game? And a ball from the umpire after the final out? It seemed possible. But where did the umps even exit the field? I had a lot of work to do. BP was almost done, so I cut through the seats and headed to the third base dugout. Security didn’t stop me, and even if they had, I had every right to be there and that felt good. And there was no competition. A father and his teenage son were standing in the front row, just to my left, but they were holding Sharpies, not wearing gloves, so I knew they were only interested in autographs. It was too good to be true, and then it got better. The Marlins players and coaches gathered up all the balls, but all the guys didn’t walk back to the dugout at the same time. Paul Hoover, the back-up catcher, was one of the first to walk back, and he flipped me my 18th ball. First base coach Andy Fox hadn’t seen this, so when he returned to the dugout 30 seconds later, I got him to toss me No. 19. Less than a minute after that, third base coach Bo Porter headed my way with a ball in his back pocket, and Jona took a pic as he was just about to under-hand it to me. OH…MY…GOD. In the pic on the left, you can see several balls bulging through my pockets. I’d snagged so many in such a short amount of time that I didn’t have a chance to label them until the last Marlin was off the field. Alex (six balls) and Doug (none) caught up with me behind the dugout and told me that during batting practice, they’d seen a ball drop into the gap in front of the Red Porch seats. I assumed the grounds crew would’ve taken it, but Alex was pretty sure it’d still be there, and since there weren’t any other potential balls to snag, we all headed out that way. He was right. I couldn’t believe it. The ball was just sitting there, waiting for me to come rescue it. I was able to convince a skeptical security guard that I actually had a way of getting the ball (without climbing down there) and that he should let me go for it. He was nice enough to walk up the steps and look the other way, and within a minute, I was able to lower my glove and swing it out a few times and knock the ball closer. And closer. And closer, until it was right below me. There was never an easier ball to be snagged. All I had to do was raise my glove, wedge the Sharpie inside, and lower it again for the kill. I was about to tie my record when the guard walked back down the steps and told me that he’d gotten a call on his radio and that I had to stop. I was beyond frustrated. Why did this have to happen now?! 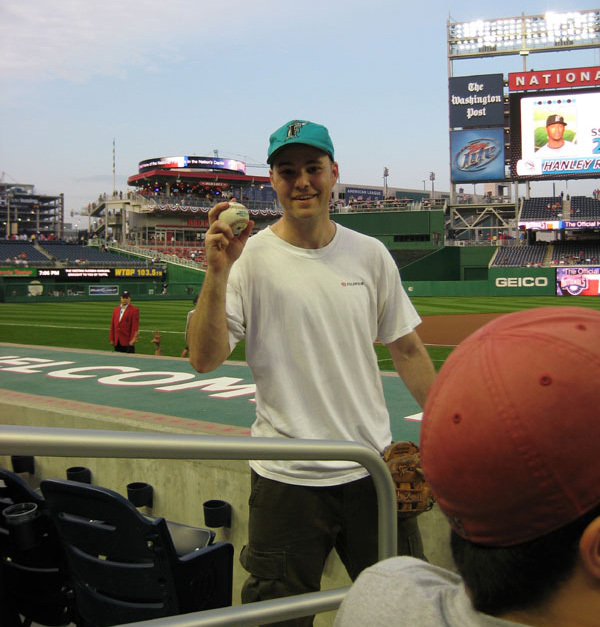 After having been allowed to lower my glove into the bullpen while the Marlins’ players and coaches were standing 20 feet away, why was I being stopped from snagging a ball in such a harmless location? It didn’t make any sense, but hey, that’s stadium security for you. 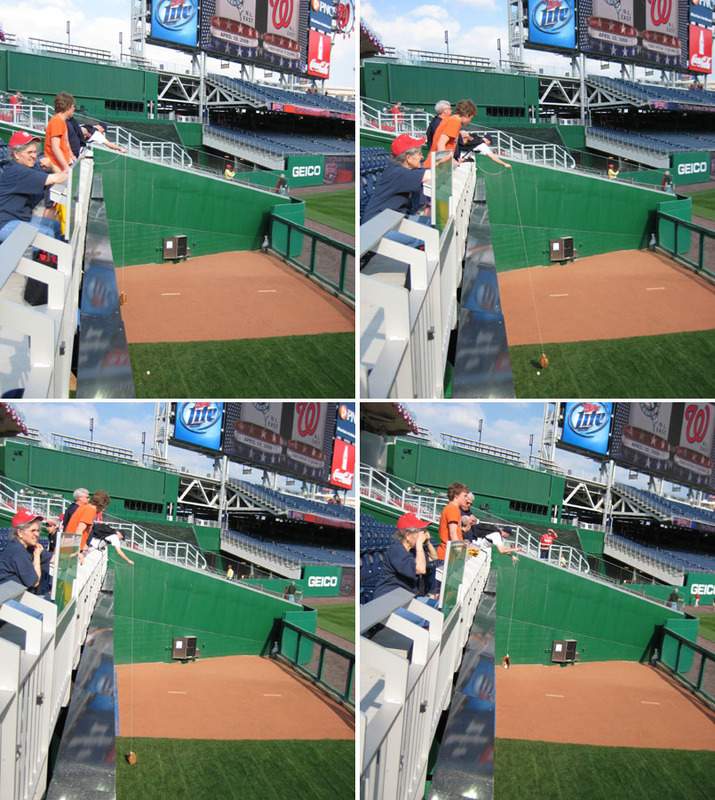 I suspected the rules at Nationals Park were being invented on the spot, but I couldn’t argue. Several Marlins began throwing in shallow left field, so I ran over. Hoover was one of them. He ended up with the ball. I didn’t bother asking for it. I knew he would’ve remembered me from the dugout. Several Marlins began throwing in front of the third base dugout, and I raced over. I had the hat. I knew their names. I asked politely. There wasn’t any competition. It couldn’t have been any easier, and Jeremy Hermida tossed me my record-breaking 22nd ball of the day. Jona was in her actual seat two rows behind me (how convenient) and took another pic. The game was underway, and I said goodbye to Jona…only temporarily. 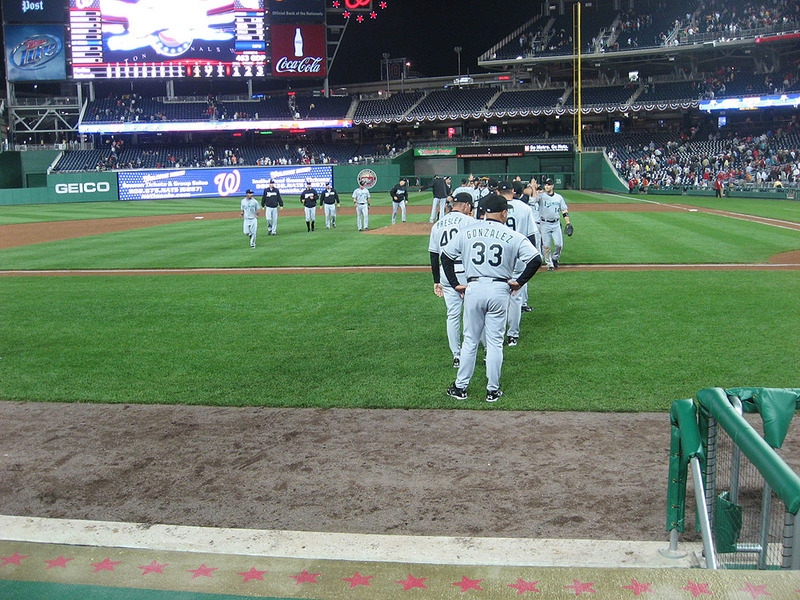 The Nationals were on the field first so it wasn’t gonna do me much good to wait behind the Marlins’ dugout. Back I ran to the first base side. At this point, the ushers were checking tickets at the top of the stairs so I waited for a large group to head down to their seats and slipped in behind them. I picked an empty seat on the end of a row behind the outfield end of the dugout. No point in going to the home plate side with Odalis Perez–not exactly a strikeout pitcher–on the mound. The odds of catcher Paul Lo Duca ending up with the inning-ending ball were slim. The odds that one of the Marlins would put it in play were much better, and I was hoping for a ground ball. First base was directly in front of me, as was a gap in the protective netting/railing in front of the dugout where Johnson would surely run off the field. Would he recognize me after having just tossed me a ball 10 minutes earlier? I didn’t think so, and I was right. With two outs, Josh Willingham hit a weak grounder to shortstop Christian Guzman who fired it over to first base. Johnson took the ball back to the dugout and flipped it right to me. HA!! I had my 23rd ball, and it was commemorative…still not as nice as I’d hoped…Johnson must’ve switched balls and tossed up the infield warm-up ball instead…but whatever. I’d just have to snag another and add to my record. 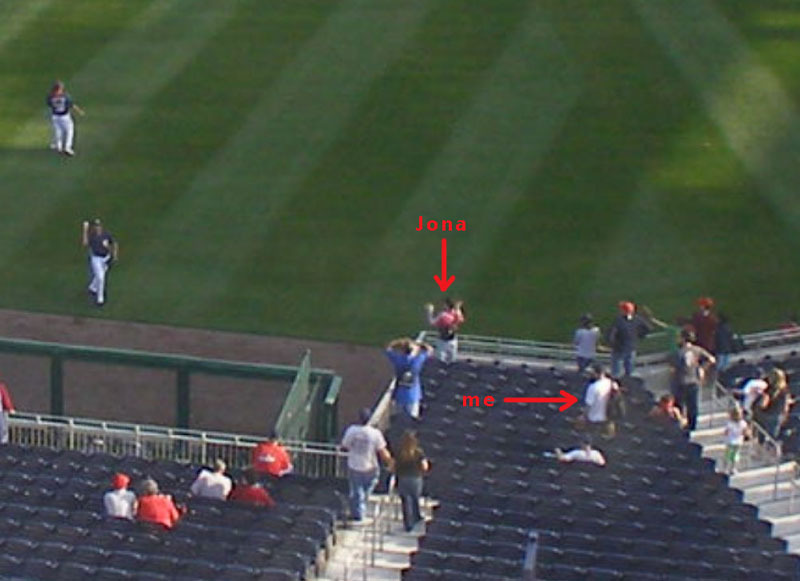 I ran back to the Marlins’ dugout and found Jona in the 3rd row. I showed her the ball. She just laughed. Willingham ended up catching the final out of the inning–a fly ball to left field by Ryan Zimmerman–and he tossed it to the fans behind the outfield end of the dugout. Blah. 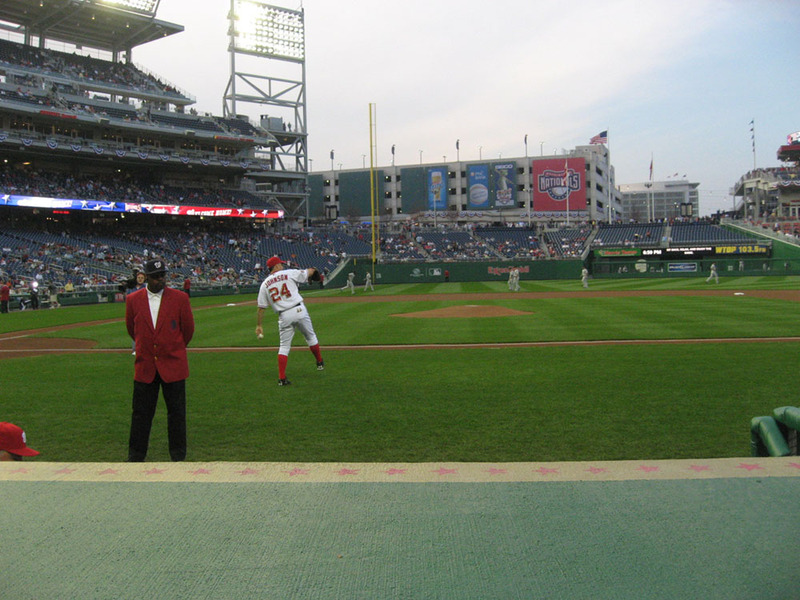 I ran back to the Nationals’ side and snuck down the steps behind the middle of the dugout. 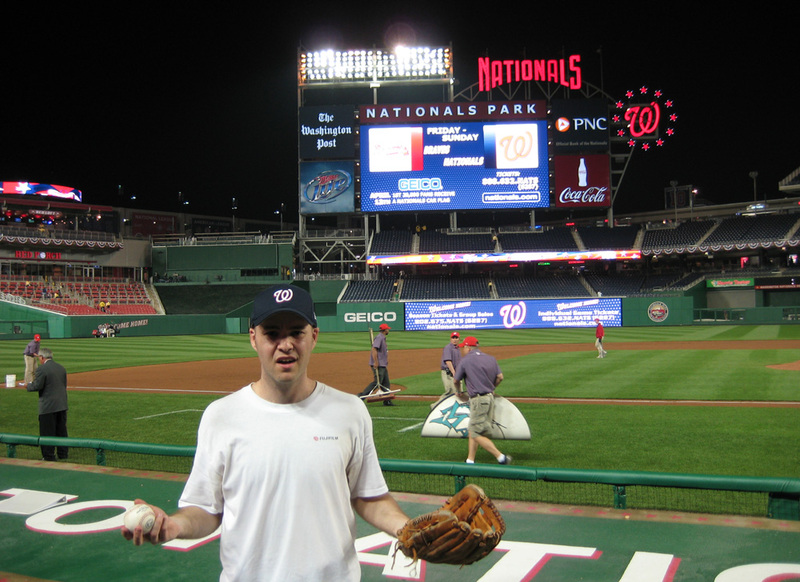 The usher on the outfield side had scolded me when I caught the ball after the top of the first…gave me some B.S. about how I wasn’t allowed to be in the first row…and I didn’t want her seeing me again. Also, if Johnson ended up with another inning-ending ball, I knew he wouldn’t throw it to the same spot. Mike Jacobs led off the 2nd inning with a groundout to Johnson and Jorge Cantu followed by striking out. Good. The whiff was out of the way. Cody Ross then took a called first strike and jumped on the second pitch, sending a fairly deep fly ball to Lastings Milledge in center field. By the time Milledge caught the ball, I was standing in the front row, and by the time he crossed the foul line, I was waving my arms and shouting his name. No one else was standing or waving or shouting. He had no choice but to throw it to me. The ball sailed high. I jumped and made a backhand catch. Wooo! Ball number twenty-four! I didn’t even look at it until I reached the concourse. It was commemorative, of course, but still not perfect. 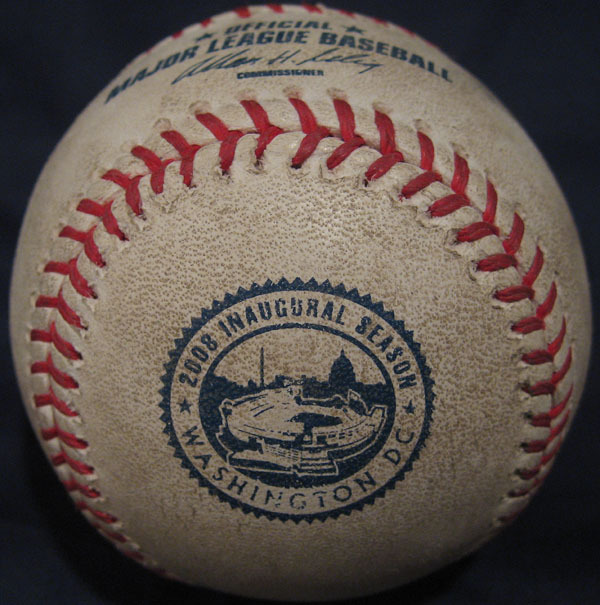 The logo wasn’t worn, but the ball was particularly dirty. I ran back and found Jona and waited for the next three outs. Johnson led off the bottom of the second with a single, and Austin Kearns bounced into a double play. Lo Duca then flied out to Ross in center…and the ball was once again thrown into the crowd at the far end of the dugout. I knew I’d get one there eventually, but it was frustrating to wait. I also knew I wasn’t exactly going to be welcomed back to the seats behind the Nats’ dugout, so I tried something else. Remember the ball in the gap that I tried to get with my glove trick after batting practice? Yeah. I back ran out there. Just in case it was somehow still there, in case there was a different security guard, in case…I don’t even know. I just had to take a look. By the third inning, however, the ushers in that section were checking tickets, so I asked one of them if he’d let me walk down between innings and take a picture. “Between innings,” he said firmly and told me to wait in the concourse. (It’s a good thing he didn’t ask to see my camera; I’d left it in my backpack with Jona at our seats.) The top of the third seemed to last forever. There was an error, a stolen base, 22 pitches thrown…and I was really getting antsy. Finally, the third out was recorded. Showtime. I walked back to the usher, and he gave me a nod. I headed all the way down to the front row and asked a couple fans if I could squeeze past them. “Still trying to get it?” asked one of them. “Trying is not the word,” I said. The rubber band was already on my glove. I wedged the Sharpie into place. I knew I only had one shot. There WAS a different security guard manning the section about a dozen rows back, but I knew he’d be all over me in no time. Phew. Deep breath. I lowered the glove quickly but carefully, dropped it right over the ball, jiggled it a couple times to make sure the rubber band had stretched around my prize, and began lifting it back up. The ball was in the glove…then in my right hand…then in my right pants pocket…and then I was being scolded bigtime by the usher who seemed offended that I had lied to him, and he gave me this whole rant about how I couldn’t be trusted, and if he ever saw me again, he wasn’t going to let me back down into his precious section (which was located eight miles from home plate). I waited for him to finish and then flew back to Jona with a loving death-grip (if there IS such a thing) on my 25th ball of the day. It was great to share the excitement with her, and to have such a nice seat waiting for me where I could catch my breath. Like I said before, it all seemed so easy, yet I knew I was in the process of doing something VERY special. On the one hand, I half-expected to snag another 20-something balls at my next game, but at the same time, I was constantly reminding myself that I might never have another game like this in my life. Basically, I forced myself not to take it for granted so I’d stop and think about each moment and let it all sink in. Ronnie Belliard led off the bottom of the third with a homer to left field, and I didn’t even see it because I was busy racing back to the dugout through the concourse. Felipe Lopez then reached on an infield single to second, and I think I missed that too. I don’t know. I can’t remember, and I don’t care. Perez followed by bunting into a fielder’s choice, Guzman popped out to Uggla, and Milledge struck out swinging to end the inning. Marlins catcher Matt Treanor took the ball back toward the dugout. I shouted my brains out and got him to toss it to me. Unreal. Another commemorative ball…essentially flawless…my 26th ball of the day. And that’s when things slowed way down for me. 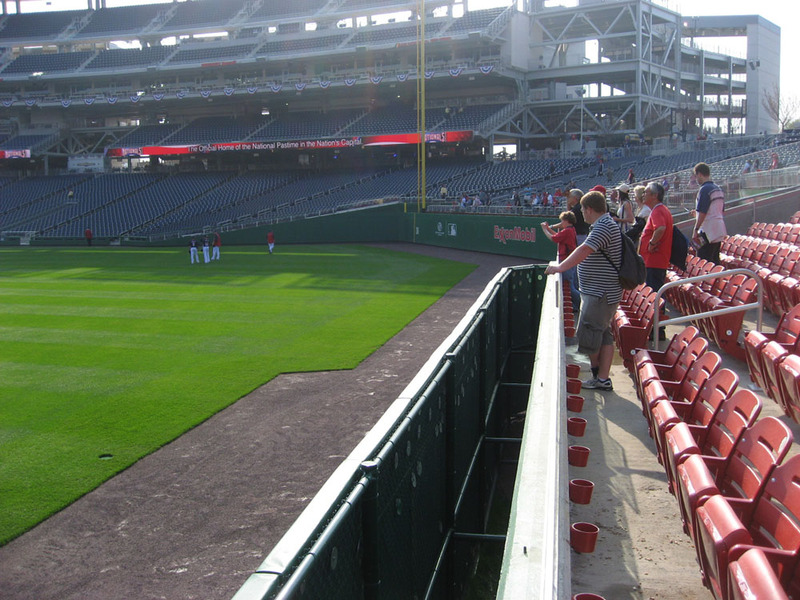 I went back to the Nationals’ dugout the next inning, and I got kicked out by the ushers. No surprise there, and no harm done, really, but it meant I couldn’t go back for the rest of the game. I felt like I still might’ve been able to get an inning-ending strikeout ball from Lo Duca (if he ever stopped rolling them back to the mound), but I couldn’t take a chance by showing my face there again. I stayed with Jona and watched the next five innings with her, rooting for the Marlins all the way. 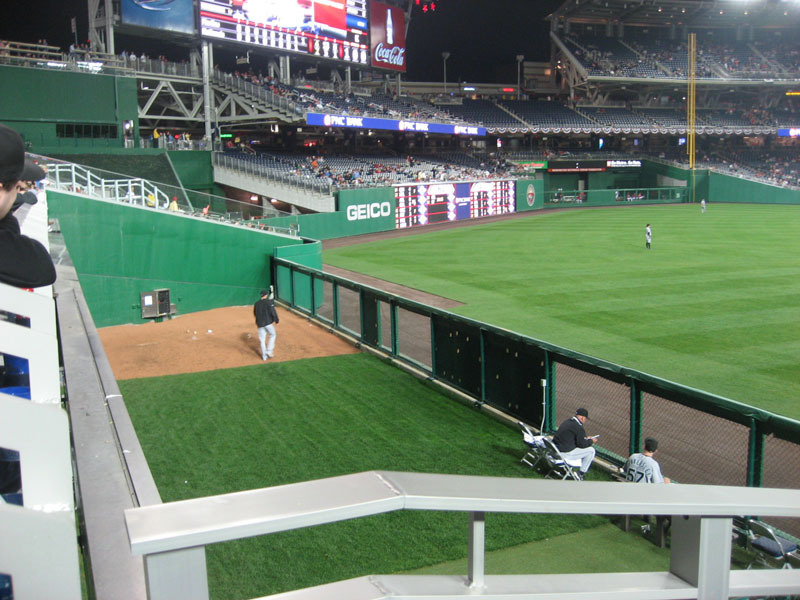 If the Nationals won the game, I wouldn’t have been able to go to their dugout, and although I never did find out where the umps were going to exit the field, I suspected they’d be doing so at the home plate end of the third base dugout. 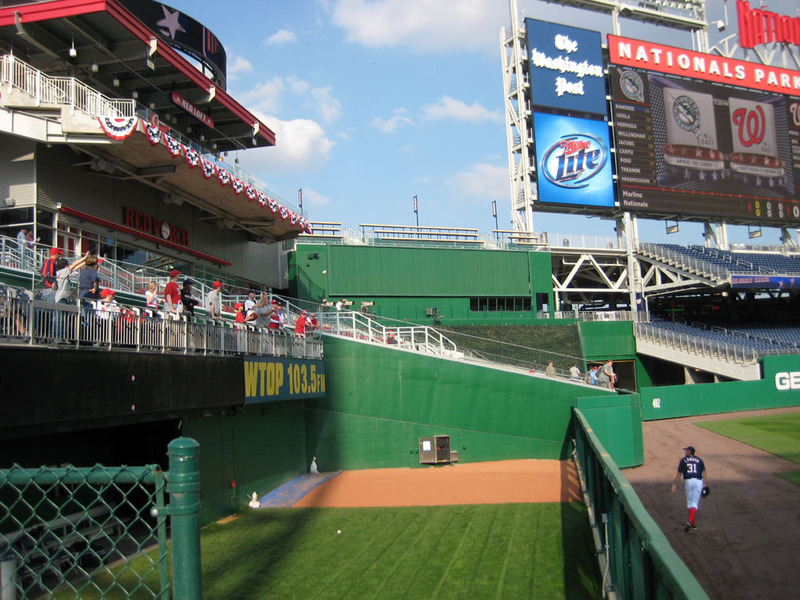 Except for the placement of the bullpens, Nationals Park was a near clone of Citizens Bank Park, and in Philly, that’s where the umps exited. 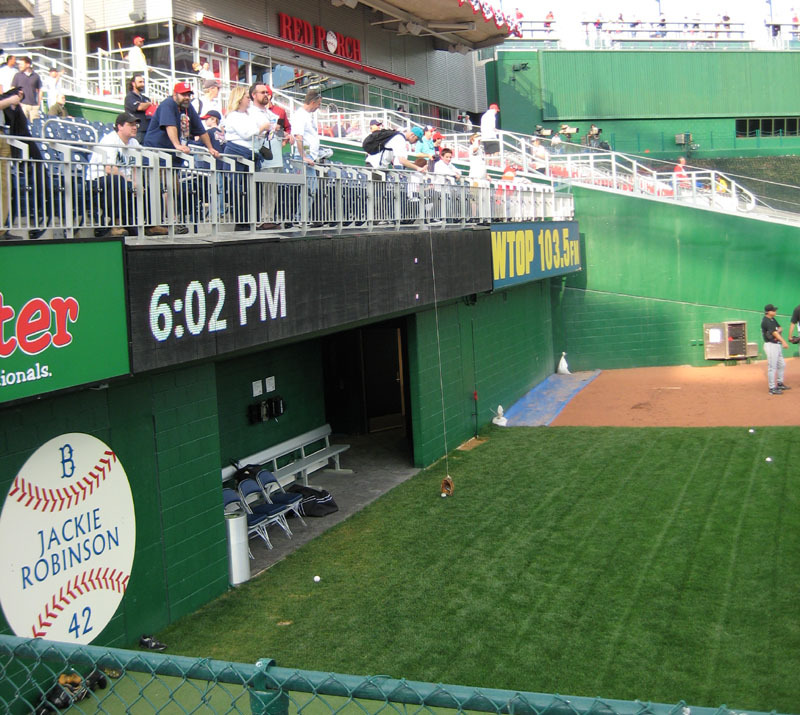 Nationals Park had a little tunnel there, blocked by a small gate that was clearly designed to swing open. It had to be. And if the Marlins won the game, I knew I’d have a chance to snag two more balls: one from the home plate ump as he walked off the field and another from the Marlins themselves as they walked back to the dugout. Finally, in the top of the sixth, the Marlins scored two runs to take a 2-1 lead. They added an insurance run in the eighth, and by the time they made the third out, I was sneaking down the steps toward their bullpen. Taylor Tankersley stepped out of the ‘pen and played catch with Willingham in left, and when he returned with the ball, I asked him for it. “Y’already got one!” he shouted, and that was that. The Nationals scored once in the bottom of the eighth to make it 3-2, and the Marlins regained their two-run cushion in the ninth. Once again, I tried to get a ball between innings at the bullpen, and I was denied, this time by Matt Lindstrom who recognized me and tossed the ball to someone else. Who had the game-ending ball? It had to be in someone’s glove. Did Wes Helms have it? He’d taken over for Mike Jacobs at first base. No, probably not. The guy who catches the final out almost always hands it to the pitcher. I had to look for Gregg, and I had to spot him fast. Pretty soon, there’d be 15 cookie-cutter white guys all walking toward me at once. Thankfully, I knew that Gregg is 6-foot-6 so I paid close attention to the taller guys and spotted him just in time. I shouted his name. 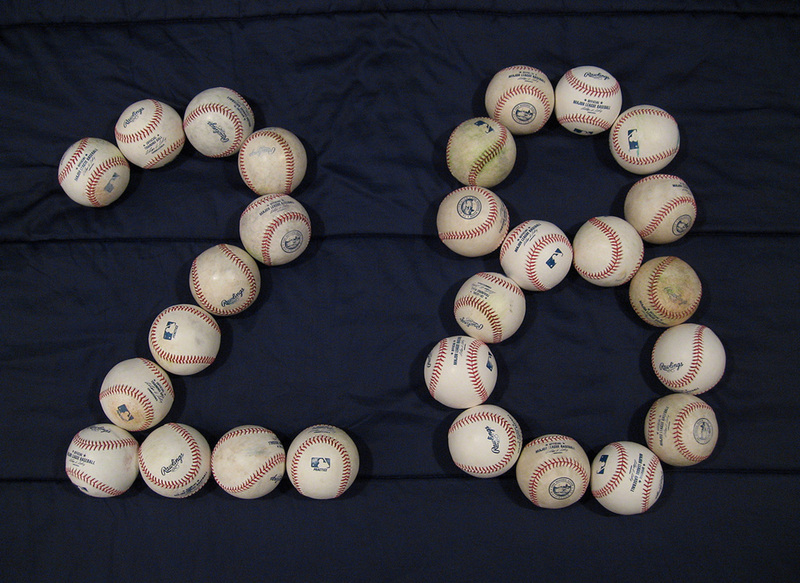 He looked up and tossed me the ball…my 28th of the day! You could say I was in shock. Alex, however, was not. He and Doug had seen me running around throughout the night, and when they caught up with me after the game, they were just…happy for me. Alex had actually left a recent comment (or was it an email?) in which he said he thought I had a chance to break my record at this stadium. Of course I didn’t take him seriously. Yeah okay, so the place opened early, and the pre-game crowds weren’t too big, and the fans weren’t that aggressive, and there was lots of room to run around in left field. Big deal. You could say that about half the stadiums in major league baseball, and had I ever come close to getting this many balls at any of them? Even at Chase Field and Miller Park, I had beaten the system by getting in extra early. Both stadiums have a Friday’s restaurant that opens before the gates and has seating that overlooks the field. 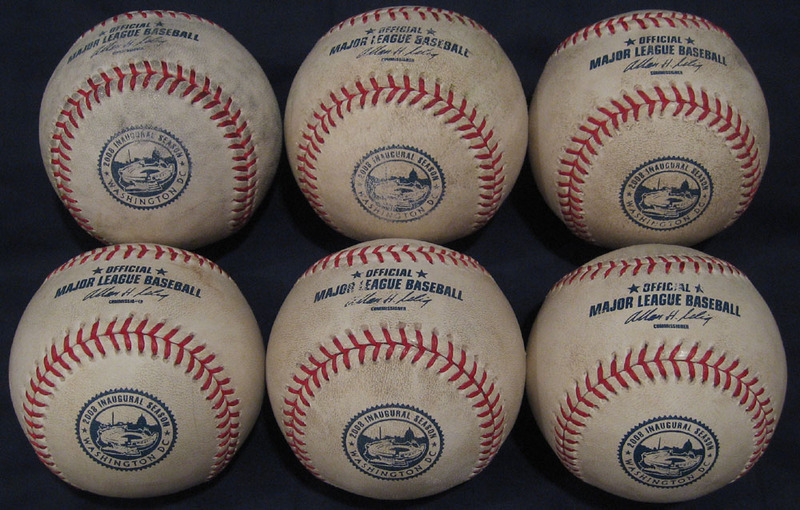 At Miller Park, I had gotten five balls before the stadium officially opened, and in Phoenix, I was able to snag seven on my previous record-breaking day. But at Nationals Park? I wiped the asterisk out of the record book. • 60 balls in 5 games this season = 12 balls per game. HOLY ****!! THAT WAS UNBELIENVEABLE! THAT IS THE MOST RIDICULUS THING IVE EVER READ! Anyway, congrats on essentially clinching a victory in our little season-long competition. It was fun while I still had a chance. Zack, so glad I was there to witness it, and a good read to re-tell it. It was a lot of fun seeing you fly around the place. It was so funny to see you appear behind each dugout at the end of the inning from our seats. If you had attended the game a few days later, you would have left one bat richer too. During the Braves game on Saturday, someone lost their bat on their follow through and it ended up bouncing off the top of the dugout and into your seats. Indeed this stadium is somewhat laid back about snagging, but I would say you lucked out with an even more lax day. I made sure I stayed out of your way (if my prediction was going to come true, I didn’t need to steal anything from you) and Doug was doing the same. 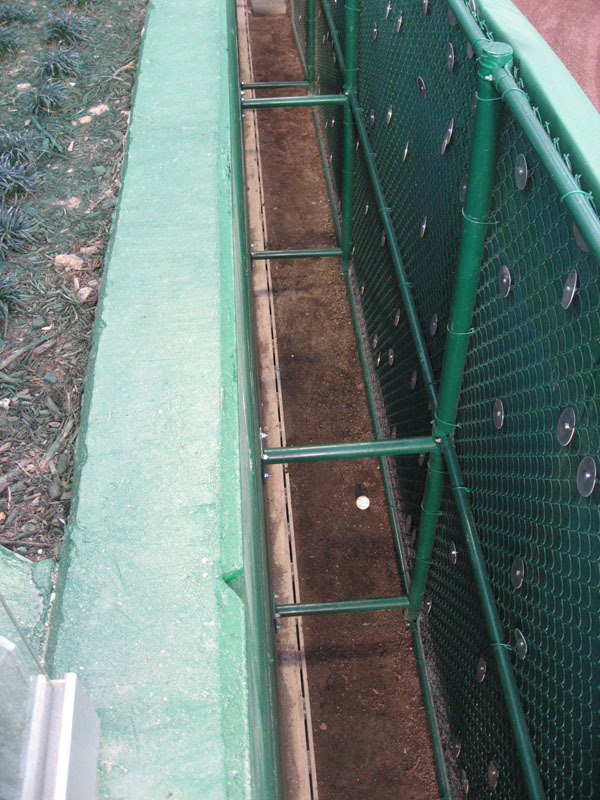 My guess is the next time I go to the park there will be someone with a cup or glove trick hanging over the bullpen. FYI, it would work on the right field pen too. Glad you had such a good time, and glad you got a good commemorative ball. Last game I came away with one perfect one so I can rest easy on the year no matter how many POS training balls I get. Hey way to go Zack. Friday was a bad day for snagging man – only two balls. Even though I had seats above the dugout, no third-out balls. My first one was from Tulo after BP and second from a batboy after the game. I wish I could have a day like you. You should think about coming to Chase this summer – weekday BP crowds over summer are thin. i thought you were gonna get 30 that game. i knew you broke a record before i was through the first paragraph. every time you break a record, you put an exclamation point at the end of the title. but wow. im going there next wednesday when the mets play there. i just want a commerative ball and if its as easy as getting one from shea, then i think it will be fun. theres a bunch of commemorative balss at shea. Zack, unreal performance! Congrats! Hopefully you celebrated at a nice restaurant with Jona the next night! Wow, and I thought I had a monster day. Nice job on 28 balls, that doesn’t even seem possible! 1- ball in LF lying on warning track that i had to nearly fall over to snag. 3- 2nd career EASTER EGG, not only that but it was a good 30 minutes into BP and I found it behind the plate, weird. 4-ball in RF lying on warning track that i had to nearly fall over to snag. 5- 2nd career GAMER, a foul ball hit by Doug Mientkiewicz in the bottom of the 2nd. I was sitting in loge when the ball sailed a couple rows over my head and while the fans were scrambling for it, it trickled down a row and I snatched it. People were still looking for it for a good 15 seconds before they saw it in my hands. 6- Tossed by Matt Capps in the 8th inning after he warmed up. That increases my gamer total to 2 and my single game record to 6. That was a SICK entry. You are my snagging hero. Congrats to Jona on her snag as well. Is it pronounced John-a or Joan-a? I’ve always wondered. My girlfriend is the anti-snag. If she goes with me bad things usually happen. Ha ha. Yours is a keeper for sure. She’s good luck. Once again, congrats on your day. I sent you an email. Take care. JOna really is your good luck charm! Marry her!! i should have been able to tell by the exclamation point at the ned of the title, uz you did that when you got 21 at Chase, but i thought cuz it was a new ballpark, and if i did realize that you set a new record, i would have guessed like 22. Zack, one other comment. You hit the nail on the head with the courtesy of the Nationals Park staff. The RFK staff was all Aramark, and they got the highest number of complaints from fans of any one element of the baseball going experience. Since Stan Kasten is in charge up here, and knows it is about the experience, he has put a serious effort into training the people to be more sociable and polite. All of the staff seem happy to be there, and seem to understand that if they are nice to people, people will be nice right back to them. I know they had a lot of staff receive training from people at Disney, which is amazing for customer service. The Mets are in town next week, but I don’t have tickets to the game, so I was wondering, what is the experience so far with the Mets using the commemorative balls during BP? At Shea, at other parks? If they do, I may just stop at the park on my way home, get a $5 standing room day of game ticket and watch BP and then head home. Might come away with a commemorative ball if I do. Wow Zack I can’t believe it! 28 ball is simply amazing and that’s why you’re the best there is. There has to be a place in the Guiness Book of Records and Baseball Hall of Fame for you. how big is your backpack?! well, i guess you probably used Jona’s as well right? That is a lot of balls to be carrying around, it’s nearly 9 pounds of baseballs. WOWWWW…28 balls. We are not worthy…I snagged..(7) yest at the COPA. Got my first gamer off Renteria..Will update more tomorrow..Off to the COPA…. Zack, I was going to update your Wikipedia page with your new total, but it was updated 2 days before you posted this entry. Did you update your own Wiki page? Say it ain’t so……. Zack, this new format is driving me crazy. I just thought I posted something, but it didn’t even say “Thanks for your comment”. I tried update your Wiki page, but it was updated 2 days before you posted this entry. Did you update it? Who else could’ve known that you got 28 balls! Just wanted to say, when I went to the Citi Field Experience last year, they said that they are planning on having seating over the bullpens, so should be good for your glove trick. Jona should start a snag w/ Jona business. all she has to do is show up, and the client gets like 50 balls! Zack..you could have not scripted a better situation that you had. You must have kept thinking that it was not real. I can’t believe that people really didn’t go after any balls, especially with the new stadium and logo on balls. I did remember you were going to that game, so I finished it on the satellite to see if you were by the Marlins dugout to get game winning ball. They cut to commercial just as the Fish were walking off the field, but I had pretty good idea you were there asking for the ball. Nice job!! goislanders-where does it say that? alex-the mets havent been using many commemorative balls in bp, although i got one from guillermo mota sunday on the brewers, my bro got one last wednesday and my sister got one today, each from joe smith. but those are like the only ones ive seen. just got back from shea. was in the picnic area from the 1st minute of bp til the game ended. i brought my 7 year old sister to her 2nd game ever. she got a ball from some spanish mets coach ive never seen before, then a commemorative from joe smith. she was up on me 2-0. then wright hit one that landed on that net between the wall/bleachers. i ran downstairs and an usher had just gotten it and gave me it. just as i got up, jose reyes hit one that rattled around the bleachers before i grabbed it. then i got balls thrown to me by nelson figueroa, chris schroeder, jesus colome, and jon rauch. 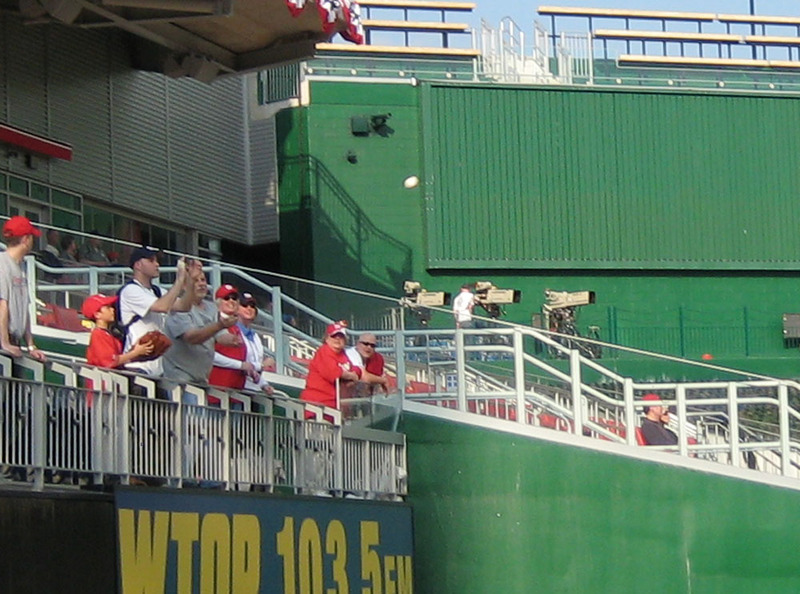 at the end of nats bp, all the pitchers threw balls up in the air, and 2 of them landed in that net. i raced down. one was laying there, on the ground. the other was on the corner of the net, about to fall. i reached up and grabbed it. the easiest 2 balls of my life. 6 of the 8 had practice stamped underneath. the 3 mets bp balls were official. the 5 nats bp balls were training. go figure. the ball schroeder threw me has a perfect “team tpx” marked on it from a bat. like pristine. its cool. theres also warning track dirt stuck in that ball too. the picnic area thing really works, and is almost a necessity at shea. you get at least an hour there. better than begging from the loge. so 8 balls. and a mets win. im going back thursday, cant go tomorrow. peace for now. Thanks for all the comments, and for reading such a long entry. Much appreciated. Thanks, and congrats on working the bleachers last night. I seriously need to run in there and see what happens. I don’t think Citi Field will be nearly as good as Nationals Park, but if/when the crowds ever shrink, Citi probably won’t be too bad. Oh, and by the way, “goislanders” was quoting the caption I wrote next to my Shea commemorative ball on my web site. No cause for concern. You crack me up, and since this is, after all, MY blog, I got to see your comment without that secret word bleeped out. Good stuff. You think I should marry Jona just for snagging purposes? I’ll have to think about that. As for my entry titles, I don’t reserve exclamation points for records. I just like to throw one in there every now and then when something amazing happens. Ahh, thanks. You (and Puck Collector) seriously had me laughing out loud. Glad to hear that you liked my telling of the story. I tried to make it as entertaining as possible for everyone. My mom was like, “Are you sure people are going to read something so long?” Umm…YEAH! Anyway, I hope you had an awesome time there today (well, now technically yesterday), and I can’t wait to hear about it. If you snagged 29 or more balls, however, I’m not going to be happy. Just warning you. I’m glad you were there, too, because if you weren’t, I don’t know how I’d ever be able to prove (in a court of law) that it really happened. I didn’t realize you were making such an effort to give me space during BP. Thanks so much. You really DO get the assist on this record-breaking day. Everything at Shea is run by Aramark. Go figure. I want to meet Stan and shake his hand. How come you don’t have tickets for the Mets games? You gave yours away or sold them? I think you should go to BP for sure. A few commemorative balls HAVE already found their way into the practice bins. You DO realize, of course, that most people in the world would be thrilled to go home with two baseballs from one game. But I hear ya. We all have our own snagging goals/averages/expectations. Still, it’s cool that you got a ball from Tulo. He’s a name I’d like to be able to add to my list someday. I’d also like to go back to Chase Field, but I just can’t afford to keep flying all over the place. Believe me, if money weren’t an issue, I’d attend about 200 major league games across the country (and Toronto) from April through October. You really thought I was gonna snag that many? I was thinking of all the balls I could’ve/should’ve snagged, and really, the only one I definitely should’ve had was the ball in the flower bed that Alex ended up finding. But hey, good for him. If the game were even less crowded, I would’ve gotten a couple of third-out balls at the outfield end of the Marlins’ dugout. Whenever an outfielder caught a ball to end the inning, I knew the ball was going to be tossed to the fans there, but every row was full and there was no way to scoot across from my seat behind the middle of the dugout. Oh well. I have one friend who’s convinced I’ll snag 30 someday, but I’m not so sure. I really think this is it. As for the “snag one while you can” caption, don’t worry. The Mets will be using those balls throughout the season. I just meant…snag one THIS SEASON while you can. I still can’t really believe it. I mean, I know it happened, but it doesn’t really make sense. Congrats on your half-dozen AND the gamer. Very strange to find a ball so long after the gates had been open. I don’t think that’s ever happened to me. Are you really moving my books into better spots? Wow, no wonder the word “rock” appears in your email address. I can’t thank you enough for doing that. Guinness would be amazing. They almost recognized my collection about a decade ago but then flaked out. The backpack is pretty big…not like one of those hikers’ backpacks or anything like that, but there’s a good amount of space. I think I once fit 80 balls in it when I was moving one season’s worth of snags from my old apartment to my parents’ place. Congrats on the gamer. I’d love to hear the details when you get a chance, and I’m sure at least a few other people would be interested as well. Yeah, it *should* be good, but stadium security will find a way to ruin it for me. You’re right. I can hardly imagine things being any better. Too bad the TV shot of the dugout cut away when it did because you definitely would’ve seen me. Wow Zack! You never cease to amaze me! Much congratulations. Now think if you LIVED in DC… How much would you get in a year? And where do you keep 28 balls anyway? and how much do those things weigh? Again, congrats on the mother of all snagging days. And just so you know, this is Cubs0110. I guess they use a nickname rather than my e-mail now. And eventually if he lived in DC the ushers and players would recognize him and probably give him a hard time. Zack, I just saw this interesting photo from batting practice at Yankee Stadium, in 1957………51 years ago. Pretty cool…..
Congratulations on reaching the 3,000 Ball Club (during the streak) and also for the 500 Consecutive Games With A Ball Club, and obviously for the 28 record. Jona, it was a real pleasure meeting you on the train, and Zack had better be very, very nice to you as everyone can see from the construction cam photos. Well done. For anyone who wonders why it’s a good thing to swipe baseballs off the field, just consider that you have a legion of followers now who are buying tickets to be at Major League games. It’s all good. 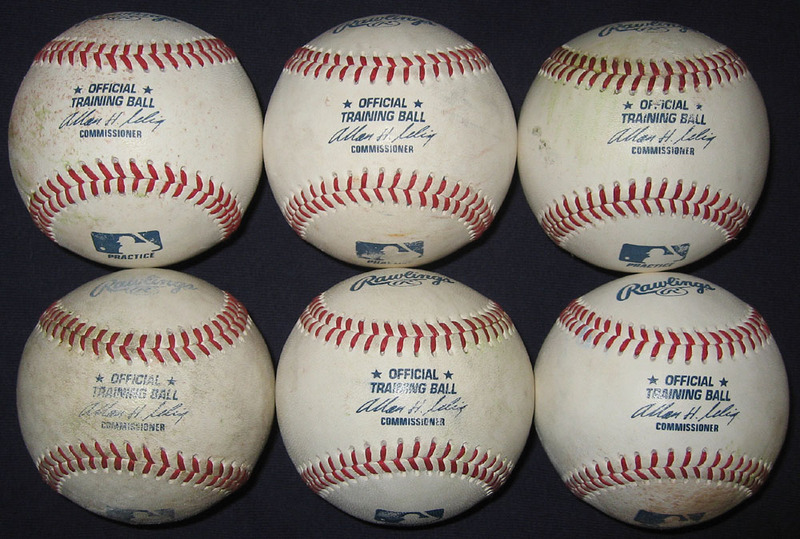 I think a club oughta just save you the trouble and present you with a box of 29 variety baseballs at a future game. 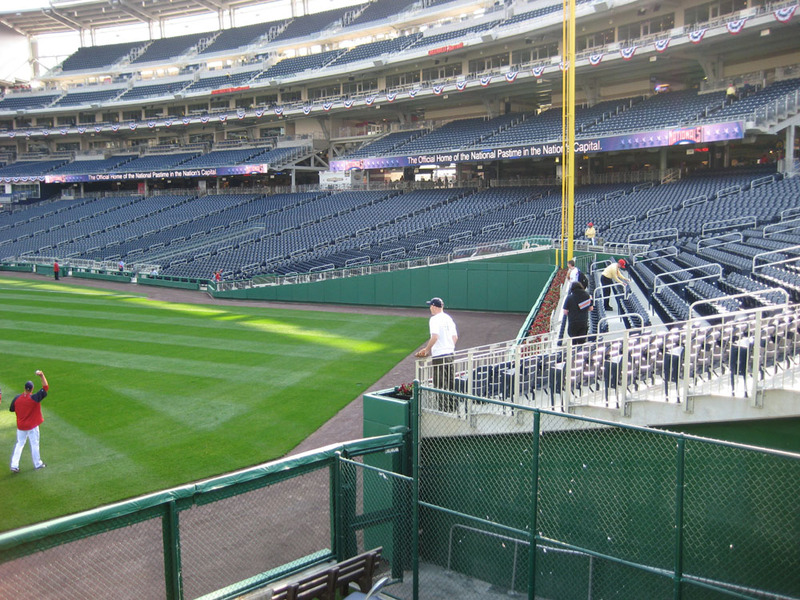 Oh, and props to the Nationals Park security people, they sound nice. yeah i was at the game i didnt hear til this morning though…thats terrible.. I knew it was you because I now get an email whenever someone leaves a comment. I see the person’s email address, IP address, as well as the comment itself and a bunch of other things. Very cool. So that’s one thing I like very much about this new blog format. Anyway, thanks. 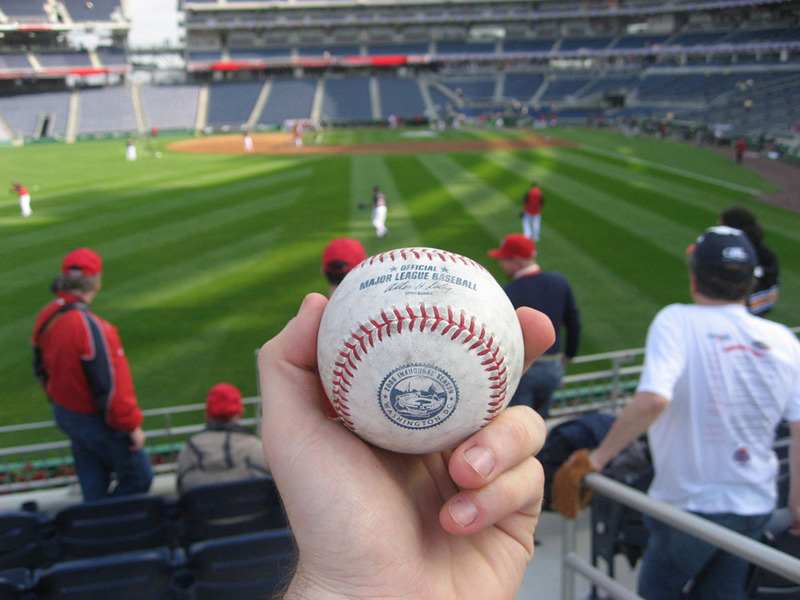 If I lived in Maryland and could go to both Camden Yards and Nationals Park whenever I wanted, I’d probably snag about 1,000 balls per season. Good point. If I went to enough games there, stadium security definitely would catch on. But then again, who knows? At Yankee Stadium, as you know, which is the meanest/strictest place in all of baseball, security doesn’t stop people from using glove/cup tricks during BP for balls that are actually on the field! Maybe this is just how it’s always gonna be in D.C. Such tragic news about the escalator accident. I do wonder, though, how it possibly could’ve happened. That is a COOL photograph of batting practice. Thanks so much. It’s interesting that everyone seems to be sitting in their assigned seats, or least just chilling in foul territory without the possibility of snagging baseballs. The guy who died last night was trying to slide? Oh man. If that’s true…wow. No comment. Thank you so much for the comment. I really appreciate everything you said. It’s especially nice to hear someone who works for MLB praising the glove trick. There are so many stadium employees who go out of their way to prevent me and other fans from using such devices, and then there are employees who have no problem with it whatsoever. Obviously I agree with you and think that swiping a few extra baseballs can only cause good things to happen in the long run. I like the idea of a box of variety balls, but I’d feel like a cheater if that actually happened. I think I will hit BP next week to see what I see. I have a bunch of Mets fans that wanted tickets to those games this season, so I am only going to one Mets game later in the year with my seats. I wish I could go to every game this season, I just don’t have the time. I will report back to let you know what I grab. I will also let you know who has now started using the glove/cup trick in the bullpens. I’m sure someone will. I’ve seen Kasten around the park a couple of times. He’s very hands one and knows what is important, but defers to experts where necessary. I hear that the Lerners tend to micromanage a bit much tho. in some of the new stadiums that have one escalator all the way up, i sometimes gets scared, but why would a dad try to slide down an escalotor when he has 2 girls with him? and don’t escalators have the non-slidy rubber on the railings? Meanwhile, the man’s family is presenting a completely opposite account of what happened. The escalators at Shea were turned off at the time of the accident. A family spokesman said family members told police the escalator then “suddenly jerked” — throwing (Antonio) Nararainsam over the railing to his death, four flights below. As you know, I went to Citizens Bank Park last night for the Astros/Phillies game. Things were a little slow (especially for Citizens Bank), but I managed eight balls. I used the cup trick three times, and the other balls were tossed by Clay Condrey, So Taguchi, Wandy Rodriguez, Hunter Pence, and Astros pitching coach Dewey Robinson. I’m up to 65 balls in eight games this season (which means I’ve momentarily taken the lead in our little competition) and 344 balls lifetime. My consecutive games streak with at least one ball is up to 73 games. It looks like I’m not going to get to another game for at least 12 days (unless I can get to Fenway next Tuesday, which is slightly possible). So have fun pulling away from me in the aforementioned competition when you’re at Disney next week. Great stuff! I know that you share your information with other baseball enthusiasts as I have witnessed this in some of your posts and video clips. 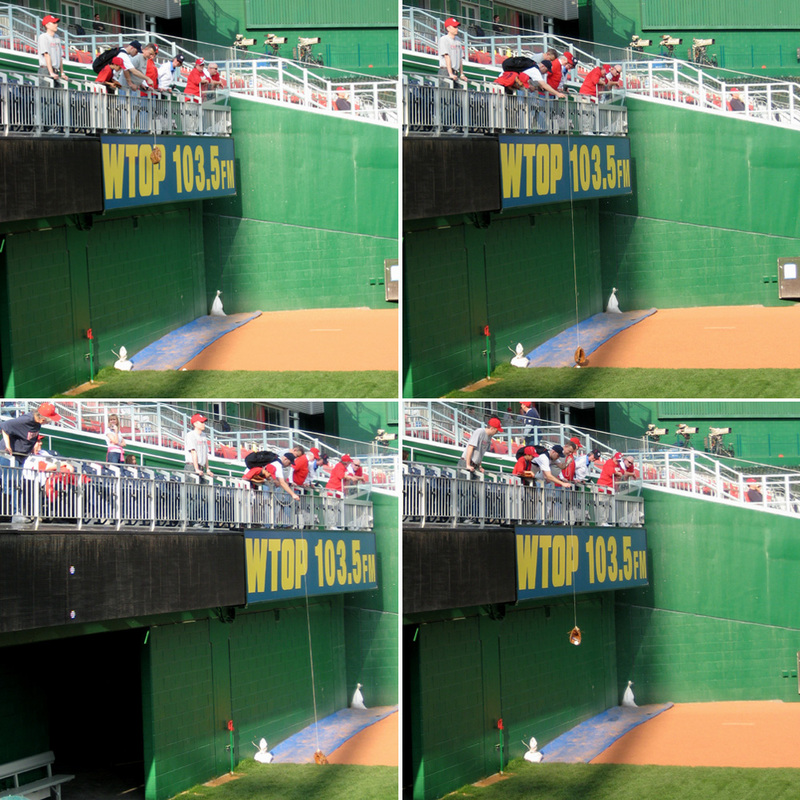 There is one photo that shows a ball being tossed to you near the bullpen. There is a youngster to the right of you with his glove (hoping that he will get a baseball too) ready for a ball. My gut is that you hand some of these treasures over to the youngsters-and I’m hoping that this is the case. It’s all about the kids…and we are all kids-big and small. I’ve been collecting autographs for over 30 years and have my fill of baseballs, bats, gloves, jerseys and the like from some of the greatest players that have played the game-and now I share and pass this passion on to my kids. I’m always giving to other kids at stadiums and squeeze them in with my son to try and retrieve photos, autographs and baseballs, etc. Thanks for passing on your treats to others-and especially leaving some of those treasures for the youngsters. April 16, 2008 - 8:44 pm thomasb. I knew you would have a field day at that stadium. D.C. has a bad fan base. I mean it is the only stadium for a few miles around, especially to the south. Also on parking, go to RFK and they have a free shuttle service. Your 45 minutes of finding parking would of turned into 5 minutes of parking, shuttling over and a short 3 or 4 minute walk to the stadium. Also, most of the people who snag there, are either 10 and under, or who have had a couple of beers already and can’t tell the difference between a baseball and a coconut. The prices at that stadium are RIDICULOUS. I was also surprised to see how lax the security was. I was expecting it to be super tight since its only the fourth day on the job. Trying to impress their superiors. Good luck next game there. No way is my girlfriend coming to Orlando with me!! No kids either. Just me. I need a week away from everyone once and a while. She’s not the Anti-Snag everytime, but she has been at PETCO. At Qualcomm she was a magnet. She’s been to one game this season and at least 5 sure thing bp homers right at me were either deflected at the last second or caught by others. She just laughed too because she could see how frustrated I was getting. Then, to top it all off she got a ball. What a night!! I caught a sweet, brand spanking, new ball from Matt Holliday today. It was a screamer. I was glad to add him to my list. I caught one from Jayson Nix yesterday and added him as well. Too bad I muffed two others today on deflections. 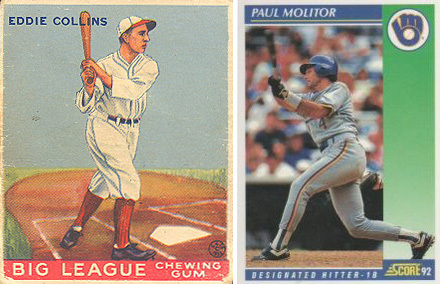 I’ve been concentrating on the BP homer so far this year, but I’m going to hit the dugouts very soon. I was hoping to score a 2007 World Series ball from the Rockies, but I didn’t see anyone get any. Thought they might be in their bin. Peavy is pitching tomorrow. Can’t wait. yeah. I feel that they shouldn’t bring any of the Shea security to Citi Field with them. They should stay at Shea, along with that stupid Dunkin Donuts cup. In Pittsburgh(This was the all-star game, but still) They had a guard in that above/next to the bullpen area, making sure you didn’t stop moving. I wouldn’t be surprised to see the Mets adopt a similar idea towards standing above that area. “I knew you would have a field day at that stadium. 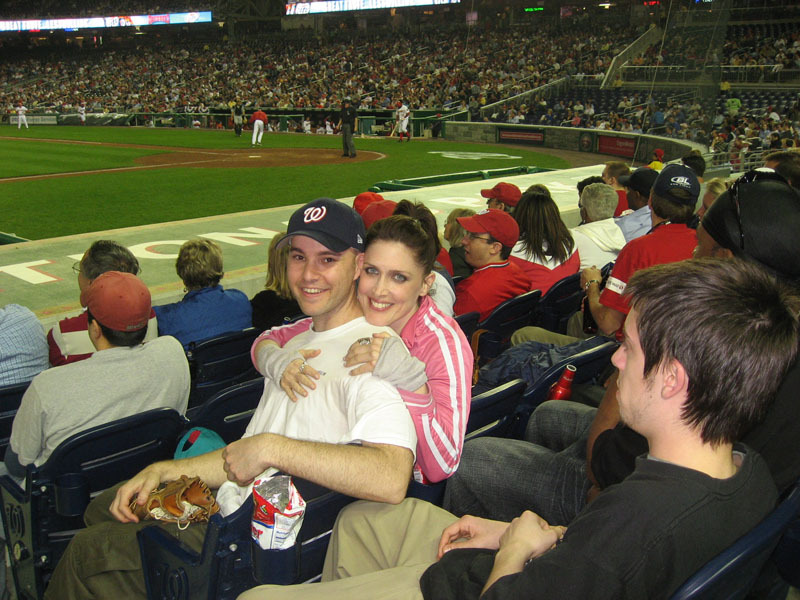 D.C. has a bad fan base” – As part of the Nationals fan base, I have to disagree with your assessment. The Nationals actually have a great fan base, the casual fans that the Yankees, Red Sox, and other large market teams possess are what that the Nationals lack. Their core fans are very knowledgeable about the team and the sport in general. I don’t believe you can judge a team’s perceived fan base on the number of balls which can be snagged during BP. Also, the problem with the RFK shuttle is that it doesn’t run as early as the gates opening typically runs. Since the CF gates open 2.5 hours early, you would be getting to the park after the gates open. I know for myself and for Zack, that is not a good feeling. i think db3par was saying that the nats don’t have a wide fan base cuz the park is brand new and they are only drawing 20,000, and not beacuase zack snagged 28 balls. 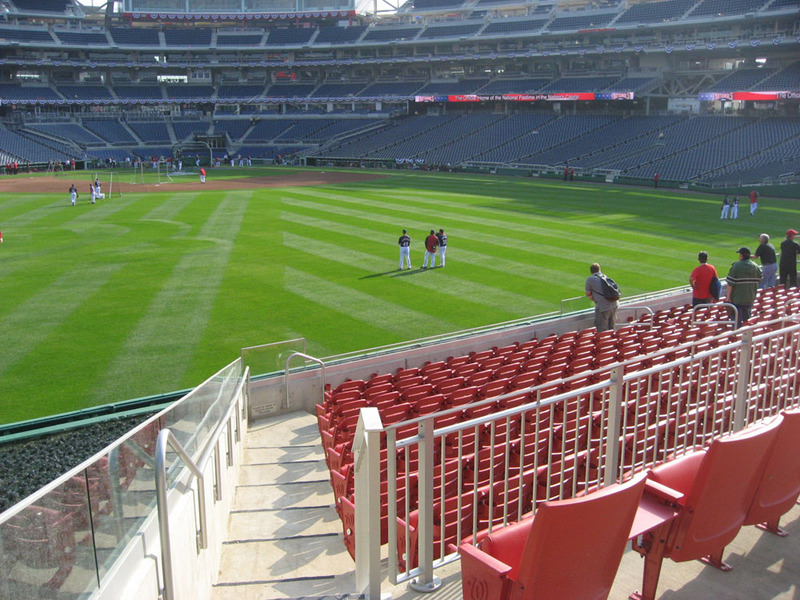 Unfortunately, the Nationals are still failing to draw fans despite their brand new park. After failing to sell out the first game in the new park (the listed attendance on the Nationals website is 39,389; capacity over 41,000) they managed to draw 20,487 which is the lowest attendance ever for the second game in a new venue. Since opening night, they are averaging 26,351 which is 64% of capacity. Being a half season ticket holder, I am definitely disappointed in the turnouts. Washington needs a title badly. The last time a professional team won was the 1991 Redskins. Not to be just a plain old Nats defender here, but I will say, opening night was an absolute sellout, it was packed, twinslove you were probably there with me! Paid attendance was 39,389, but that wasn’t the number of people there, that was only the number of tickets “sold”. The remaning 1,611 (out of 41,888) were given away and not included in the total paid tally. 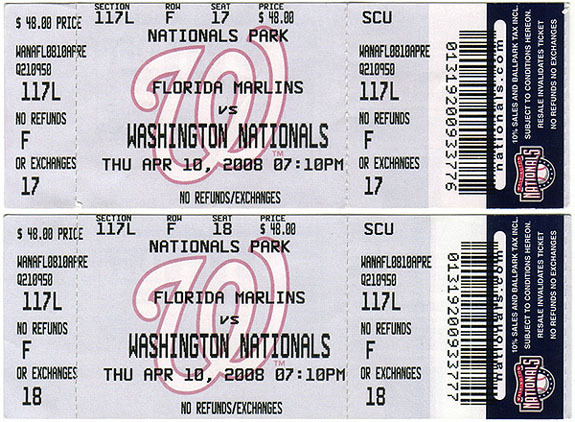 Actually, the Nationals had set aside 2,000 to give away, and when they still had about 389 left, they put those up for sale on the day of the game and those all sold out too, even the extra few $375 seats. That being said, you are correct, the 2nd game was a very low draw, I was at that game too, and it was COLD, and it was the Marlins. Attendance picked up through the end of the first week, with some pretty good numbers at the end of the week/weekend with the Braves. I think the novelty of a new stadium has worn out on people. Back with the O’s and Cleveland had new parks, they sold out entire years as much for the park as it was for the team. People came to see the new park because they were the only two or three (I think the Ranger moved into Arlington around that time) with new places. 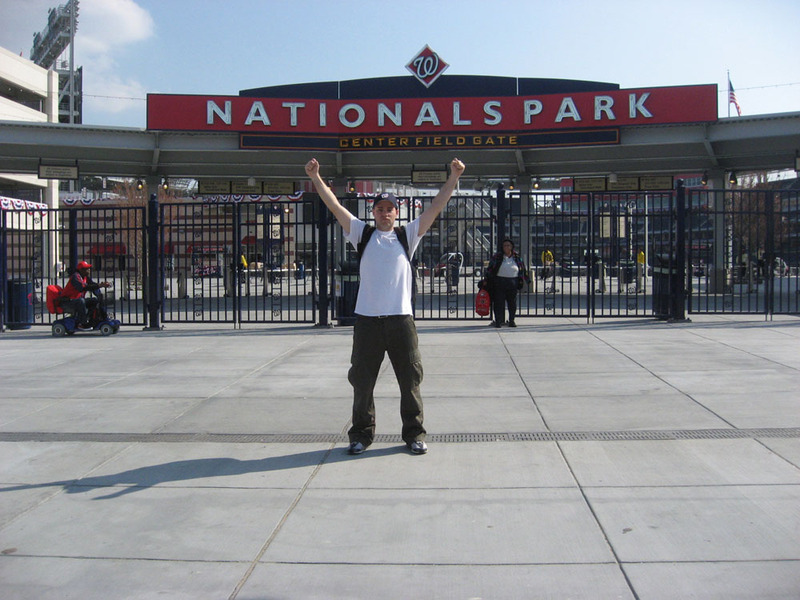 But now, the Nationals are one of the last teams to have a new park, and people don’t care quite as much. The numbers won’t pick up until the club starts winning. I would go as far as to say that they don’t need a title, they just need to contend, and so far this year, their hitting and pitching aren’t putting them there, and you can’t do it with fielding alone. If your outfield can’t hold the ball, your outfielders can’t catch it. But until they start some better winning ways, I will be there to cheer them on as part of their good fan base. And when everyone jumps on the bandwagon once their prospects start to come around, and they sign a few good FAs that stay healthy, I will be able to say I’ve been a fan all along. After all, a true fan base are the ones that tend to show up when the gates open and watch the entire game, not the people who show up 3 innings late and use the entire game to talk on their cell phone and wave to the friends a level and 40 sections away who is also at the game and on the phone with them. That, the Nationals have plenty of IMHO. Capacity was 41,888, they set aside 2,750 to give away, but only actually gave away 2,499 and ended up selling the other 251, for the total paid attendance of 39,389. Thats how MLB requires the teams to report attendance. If they do it purely on the number of people at the game, that Monday, cold miserable marlins gave of 20,487, would have been more like 14,000. Nobody was there. Yeah I understand that, I didn’t mean to jump all over the Nats fan base or anything I guess it just came out wrong… at least the Nats are outdrawing the Orioles who are had trouble getting 20000 to some games earlier in the year. I’m sure Angelos is hating the Nats more and more every day they outsell his Os. I’m happy to see a Nats fan as passionate as yourself, bodes well for the club in the future. I remember I went to a miserably cold April game last year at RFK against the D-Backs, gametime temp was around 30. Hey at least they are out of that dump of a place (in regards to a baseball watching experience). Good point about the “casual” fan base being what the Nats lack…and about the shuttle not starting early enough for our snagging needs. You might also be right about people being sick of new stadiums, but I’m pretty sure just about every game will be sold out next year in NYC. Thanks for sharing the details that you found. Isn’t it great when you can have a “slow” night and still get eight balls? Congrats on taking over the season lead…for now. Thanks very much, and yes, I do indeed give away balls to kids. More importantly, though, I’ve taught thousands of kids (of all ages) how to snag balls on their own. Sounds like you’ve collected some great stuff, and it’s nice to know that you’ve been sharing the wealth as well. Baseball vs. coconut…nice. I’m not sure if I’ll make it back down there this season, but whenever I’m back…yes, I plan to have another big day. Thanks. Aww, you’re giving up on the glove trick? Boooo!!! Every now and then, we all need a vacation from the people closest to us…but yeesh! I wouldn’t be happy if Jona were laughing at me for missing balls during BP. I’m disappointed to hear that the Rockies aren’t using World Series balls. There are a bunch of ushers/guards at Shea who practically deserve to be there when the wrecking ball hits. I was at Coors in 2002, but not in April. It was June. Very cool to hear from someone from so far away who likes to snag. Good luck next week, and let me know how it goes, if you get a chance. i have to give up on the glove trick. i can never get it, and i have never had a good glove for it and it just seems like a frustrating waste of time for me. you got it down though. Your HTML is a little broken; search for “think so”. Sorry it didn’t work for you. Thanks for letting me know. Everything got screwy when things switched over to WordPress, but I think I just fixed this. you should teach classes on this or something…absolutely amazing!! I love new comments on old entries — nothing wrong with that. Anyway, thanks for the kind words. I do take people to games (for a fee) and show them how it’s done, so your idea isn’t crazy. Thanks! Sorry to say that Nationals Park has turned to crap. The security people are goons with a dishonest agenda.